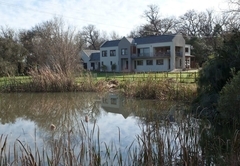 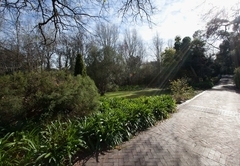 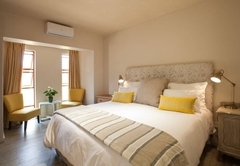 Viettz Suite is a property providing self catering in Stellenbosch for up to 3 guests visiting the Cape Winelands region. 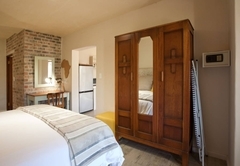 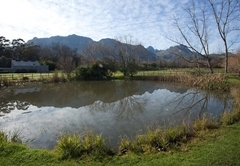 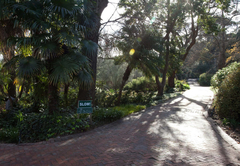 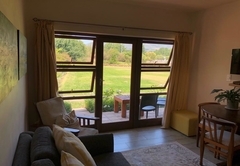 Viettz Suite is a ground floor self-catering holiday apartment in Stellenbosch, with spectacular views over the garden and Helderberg Mountain. 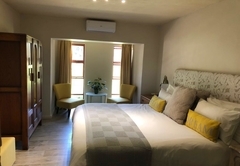 From here you can explore the Cape Winelands area as well as Franschhoek, Paarl, Hermanus and Cape Town, all less than an hour away. 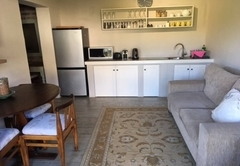 At 45 m², this spacious unit comfortably sleeps three people. 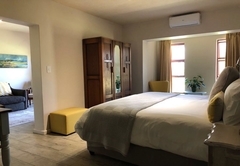 The bedroom has a king size bed and a single bed. 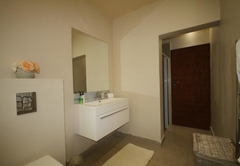 The spacious full bathroom includes a bath, shower and heated towel rail. 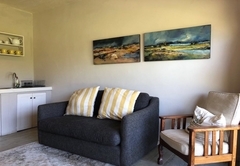 There is a separate lounge area with a TV and DStv. 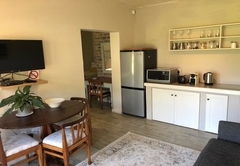 The equipped self-catering kitchenette contains tea and coffee facilities, including a Nespresso machine, large fridge / freezer, microwave, kettle, toaster, cutlery and an induction table top cooker with basic crockery. 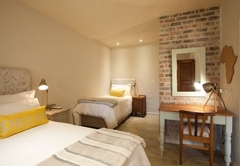 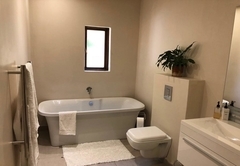 A full bathroom and luxury finishes complete our offering, making it ideal for either short or longer term stays. 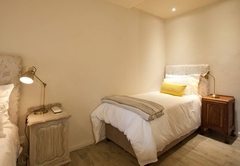 Child policyThe unit sleeps three adults only and is not suitable for children.